Dez 2015 · 18 Tracks · 61:30 Min. Ruhe, Gelassenheit und die Entschleunigung vom Alltag versucht das neue Album »ETHEREAL« von Roman Leykam zu vermitteln. Die Musik bietet dem Hörer die Möglichkeit, in stille Kommunikation mit sich selbst zu treten. Recorded and mixed 2012/2013 in the studio of Roman Leykam. Mastered 2014 in the studio of Frank Meyer. 4-seitiges "Digisleeve" mit 8-seitigem Booklet. 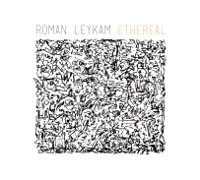 Roman Leykam: electric guitars, guitar synths. ... It all sounds like a meditation or a practice of mindfulness. The sonic universe of this work indeed explores imaginary spaces where the notes become stars ... or is it just the contrary? It's an ambient creation made by electric guitar and guitar synths. It's not only astral-like, but still vaguely psychedelic and even touching blues and country grounds. Next to the experimental guitar Roman Leykam also likes to manipulate with electronics. He creates weird, but captivating noises leading the listener to explore hidden visual territories. ... If you like pure experimentalism, this album really has a lot to offer. The work is quite diversified, but carried by a solid 'space'-minded basis. ... "Ethereal" is not the most accessible kind of release and a hard exercise if you want 'to enter into silent communication' by yourself. ... what listener are going to meet in Roman's music is something a little bit less commercial and easy listening. I won't say he walks on entirely unexplored musical pathways, as the most immediate stylistic link is to all those composers, who crossed that liminal zone in-between classical ambient music and the so-called kosmische musik.